every morning when the walls slide back, they will risk everything to try and find out. I read The Maze Runner back in 2010. You are dropped into a world where you do not know what is happening or why it is happening and I found it very confusing as a reader to start with but suddenly things start to click into place and I'm interested to see how this is done in the film. I did like the idea behind the story and I liked how the boys interacted with each other, complete with their abrupt manners and own cursewords (reminding me of a variety of children I have taught over the years) and there were a few creepy moments with the grievers. In the last section and everything that happened it was fast paced and interesting and I think the series as a whole could be very good based on all the ideas thrown about. 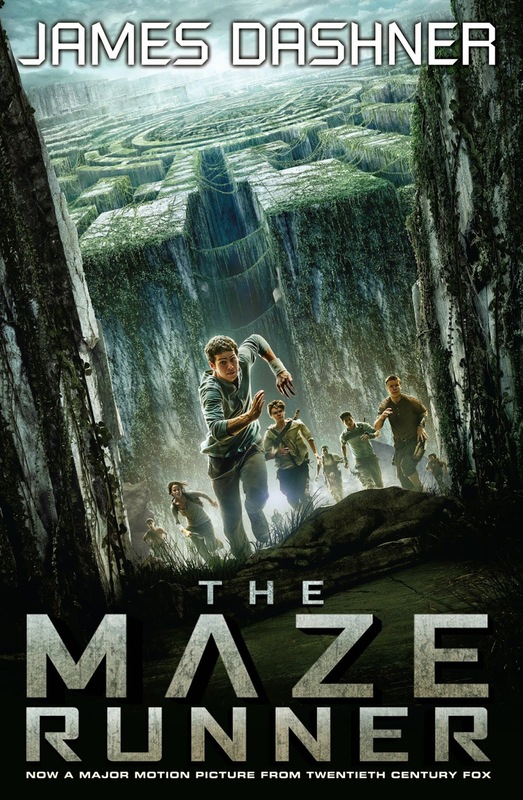 I am very excited to be able to offer a signed copy of The Maze Runner for one of my readers. If you want to enter simply leave a comment in the box below with a twitter handle or an email address to contact you on and I'll pick a winner at random later on in the week. I'm also looking forward to this, the trailer looks so good! I've heard a lot of great things about it. I really need to read this before I see the film - I keep hearing positive things about it. I've been really wanting to read this, heard really good things about it!